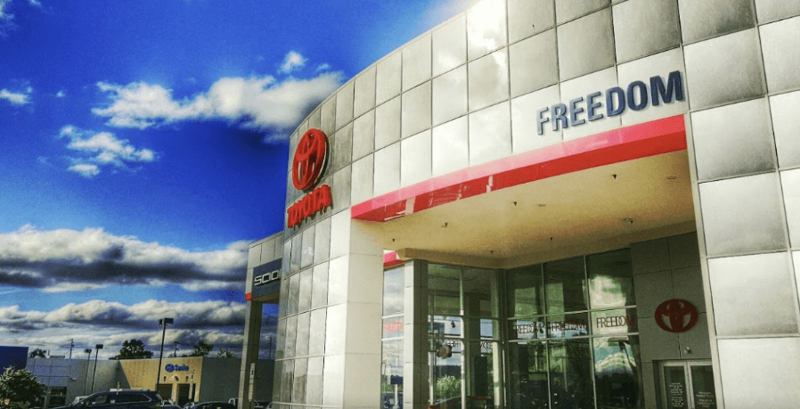 Welcome to Freedom Toyota of Hamburg, PA where we are in the life improvement business! That means we're here to treat you with the respect you deserve whether you're looking for a brand new Toyota, a sleek pre-owned option or just need to check your tire pressure before taking that weekend getaway! Our goal is to help you find the ride that will complement your lifestyle for years to come, one that you will be proud to pass on from generation to generation! Our friendly staff is here to listen to your needs and present you with viable solutions. Ready to get started? Take advantage of all the resources we have available online or drop by our conveniently located Toyota dealership now! We offer extensive business hours so that it's always easy to find the time to come see us! Give us a call to (484) 665-0130 for more information! Read up on a few of the latest Toyota models right here on our website! We offer research pages that boast some in-depth information on the safety and amenities that come standard on the model you're interested in, as well as some upgrade options. We're always looking for ways to ensure our customers have a positive shopping experience so don't hesitate to contact us and let us know how we can assist your research process! Take a look at our model brochures or make the short trip over to see our Toyota rides up close and personal! Freedom Toyota has an extensive new and pre-owned inventory so finding the vehicle you're interested in is simple. Allow our sales team to go over the differences of buying versus leasing so that you can make an informed decision based on your needs, income, and credit situation. As we walk through our vast inventory, feel free to stop and ask questions or take one for a test drive! Going for a cruise is a way to see how your potential new ride handles your driving habits and give you a chance to witness all those safety programs in action! If you're interested in a used car in Hamburg, then allow us to go over all the different categories we have! 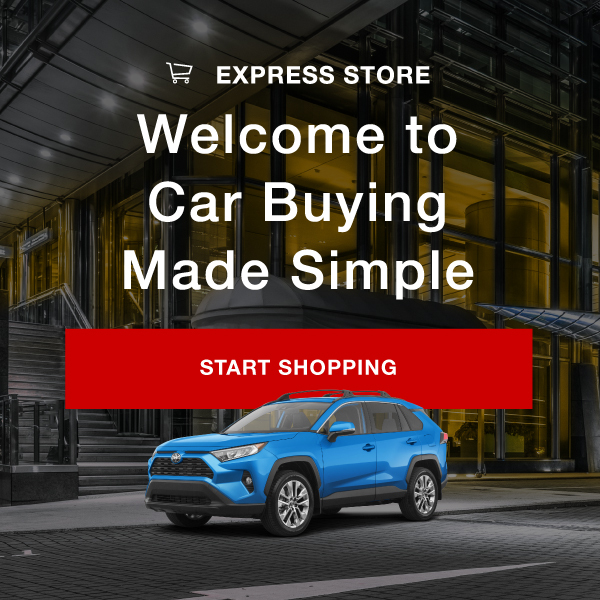 Shop our certified inventory, only Toyota models, a range of automotive brands, or rides available for under 12,000 dollars. With so many ways to shop you're sure to find something that suits you! Our finance department is here if you're worried about your credit situation and we can't wait to go over all the comprehensive plans we can secure for you! Use our online credit application to get started or make your way over to see us. We can break down the approval process and get you started on the necessary paperwork; after that, simply sit back and relax! Our financial experts will review everything and contact our many lenders to find some quality loan packages that set you up for financial success! Take care of your ride like it takes care of you, visit the service department here at Freedom Toyota today to get that oil change, tire rotation, brake inspection or mechanical issue addressed now! Our technicians have impressive certifications that allow our dealership to work on many different vehicle models so don't hesitate to book your appointment now using our secure online form! We'll look through all our service and parts specials to make sure you're getting a competitive price! A Life Improvement Focused Experience. 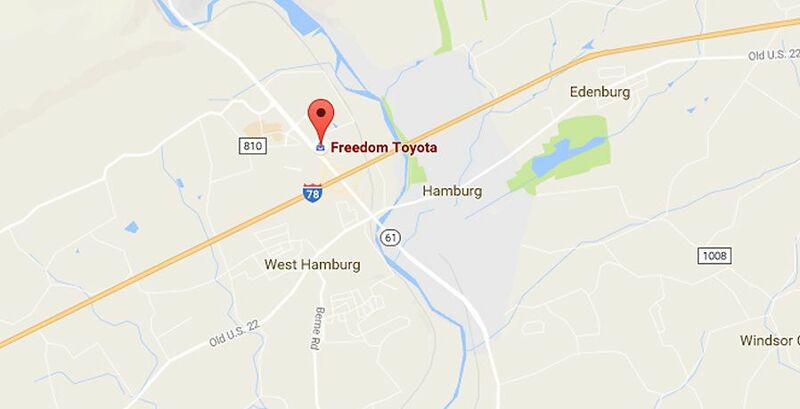 Freedom Toyota of Hamburg thanks you for your patronage and we eagerly await your return!